Campus officials reversed their Feb. 6 decision to require that Outback Adventures – UCSD Recreation vacate its office in Pepper Canyon by April 1 to make way for the new Pepper Bowl amphitheater being constructed in its place, Director of Outdoor Education Tom Rottler announced on Feb. 15. The university had initially given Outback Adventures a move-out date of July 1, so advancing the schedule would have left Outback Adventures without an office until August 1, when it will occupy a temporary space, and required it to cancel all of its Spring Quarter programming. 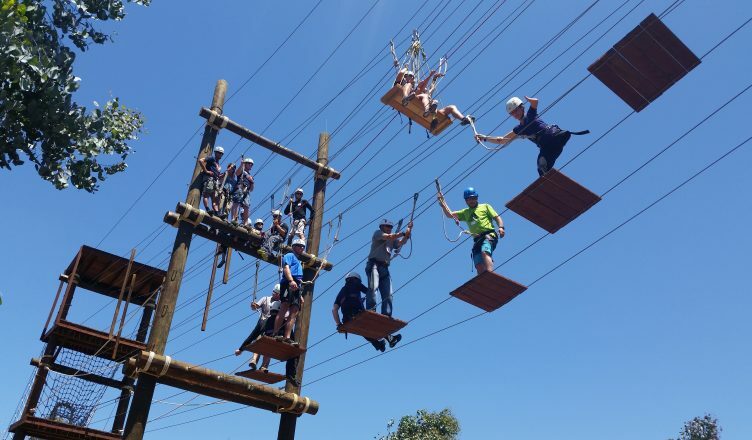 Outback Adventures is a subset of UCSD Recreation that provides outdoor trips to students to hike, kayak, snowboard and more, trains students to guide these trips, and oversees the Outback Climbing Center and the Challenge Course. The university’s Feb. 6 announcement was met with protest from past and present participants and Outback Adventures itself. In an email sent Feb. 13, Rottler circulated a feedback form asking friends of Outback Adventures to help “convince campus decision makers to honor their commitment” of a July 1 exit date. The form generated 150 responses from students, faculty, and alumni. Citing Outback Adventures as “THE highlight of my undergraduate experience,” one UCSD alum criticized the administration and suggested the decision to leave Outback Adventures without an office during the spring indicates the university does not care about promoting awareness of climate change and other environmental issues. Rottler himself wrote a letter to campus officials on Feb. 12 asking them to repeal their decision on the basis that without their field program infrastructure, Outback Adventures would be unable to perform the necessary operations to manage their programs such as food storage, program equipment storage and staging, laundry, and more. The letter also listed seven negative effects of early closure, including loss of needed revenue, loss of employment for 70 student workers, and loss of the experiential programs that several classes have incorporated into their coursework. According to the Outback Adventures leadership, the outcry from current and former participants was what prompted campus officials to keep the July 1 move-out date. “All of your comments and energy turned a ripple into a wave,” they stated. The temporary office that Outback Adventures will occupy beginning on August 1 will be located near the Spanos Athletic Performance Center, and Outback Adventures is predicted to spend three years there.